yogiman wrote: Well, as this goes against the traditional view, that means that traditional palmistry must have been wrong. As a consequence, all professional palmists on this forum will make themselves guilty of a suggestive reading approach. 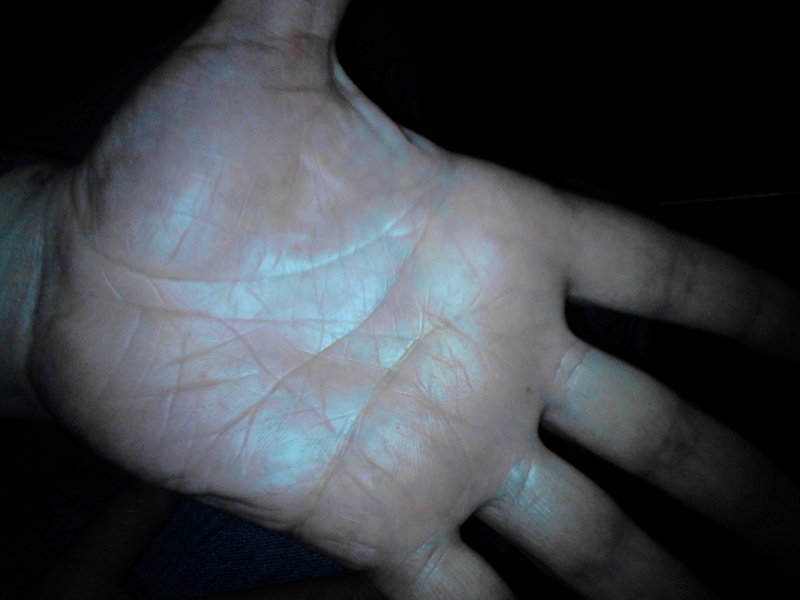 And the reason that I put faith in palmistry is that it has a long and universal tradition. So I am not sure whether I understand you well. 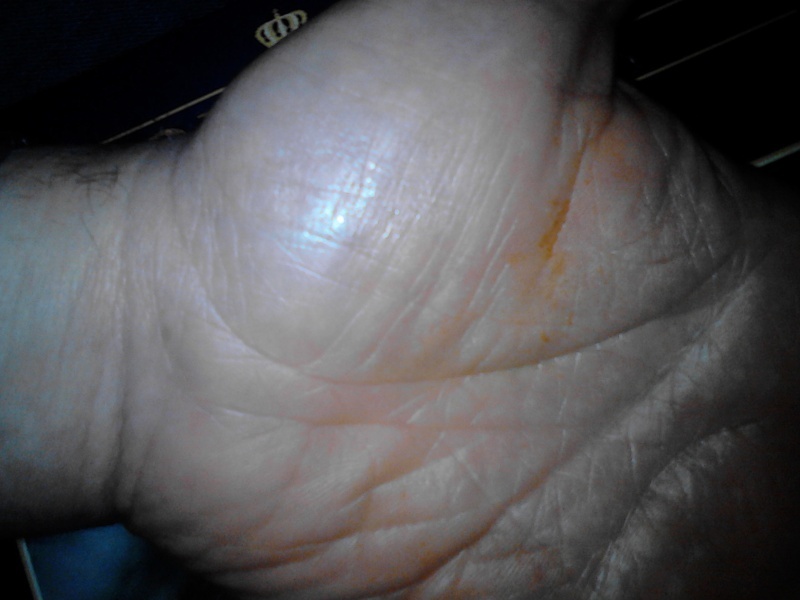 At the end of -the spellbinding power of palmistry- Fincham gives an example read. Is his approach fluid instead of fixed? Well, basically I believe that the traditions in the field of hand reading are way too much focussed on individual hand signs; because individual hand signs (in isolation) are in general not reliable at all - at best only in a small number of cases they APPEAR to be reliable, though often this turns out to be a minority of cases. (Where hand sign 1 in isolation does not represent significant specified meaning at all to get associated with X, and the same goes for hand sign 2 and 3 regarding in respective Y and Z). What I am trying to describe here represents a fundamental conceptual tradition in the hand reading literature, but this tradition actually represents an oversimplification of reality... because regarding individual hand signs there is basically always a game of chance involved, but most hand readers do not express much awareness of this inside their readings. I hope I have now managed to explain things more properly? PS. 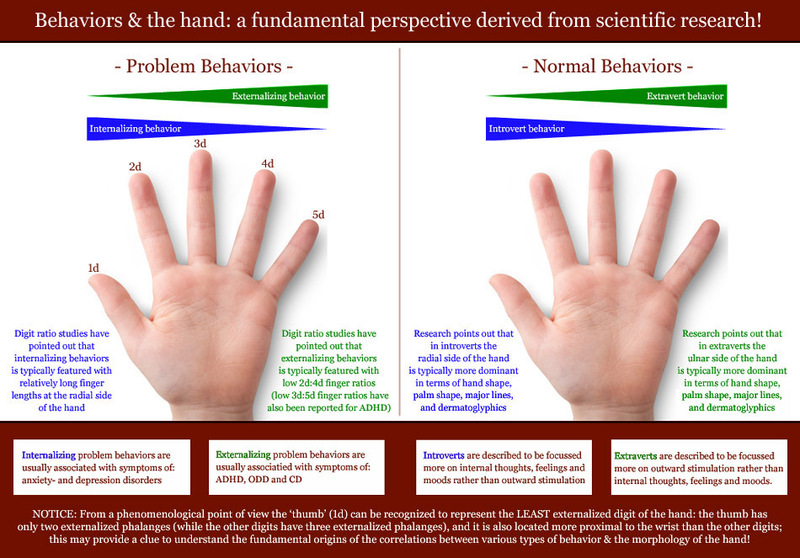 I realize these conceptual considerations are sort of off-topic here, however, I do think that these considerations can become helpful to understand the link between mental problems & the hand more properly. don't try to distort the facts. How am I distorting facts / which facts am I distorting? Though I am always looking out for your expertise responses, at the same time I am aware of my prejudice that your approach is more professional, whereas Martijn's approach is scientific. But I do have to say sorry, because I thought that you were twisting the man's fate line into a passion line. 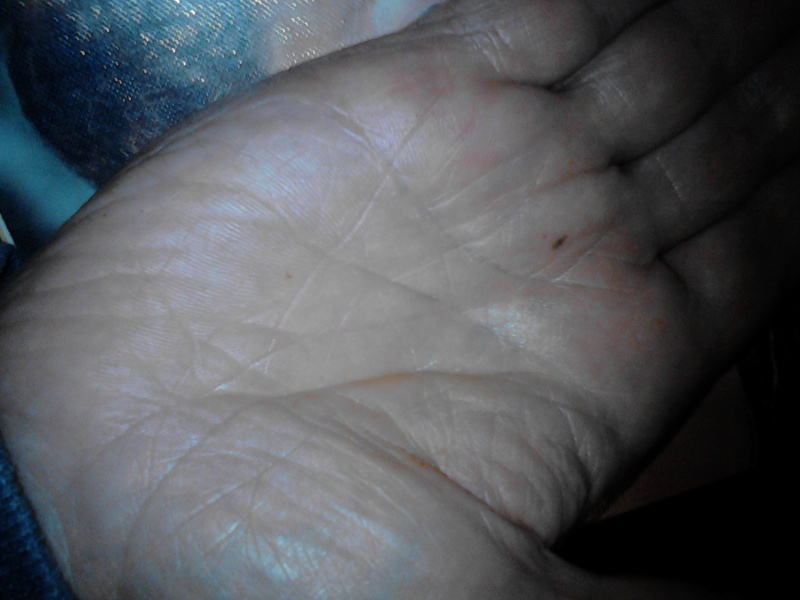 Though I read now in -the spellbinding power of palmistry- on the top of page 104:"Note that only lines or sections of lines pointing towards the middle finger are true Fire lines." 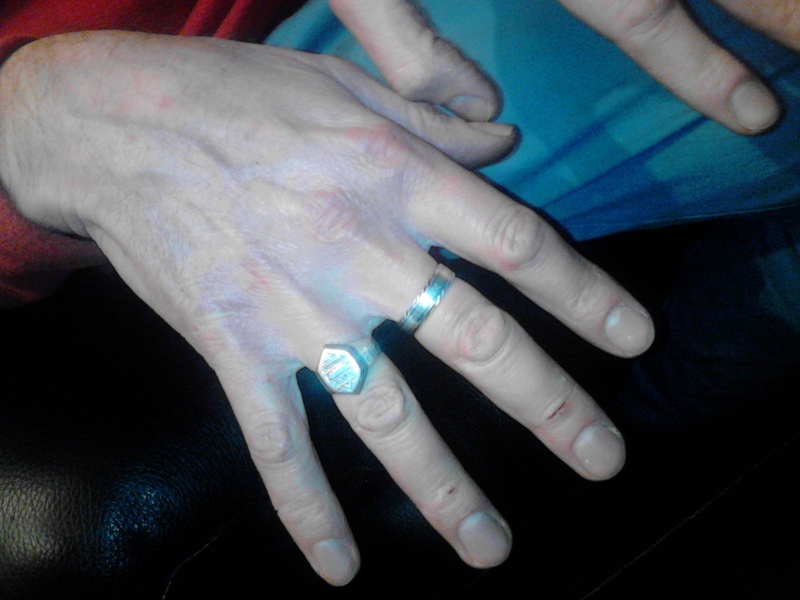 I have not been accurate in the description, because the man has a clear straight line going from the centre of the palm at the palm base towards the beginning of the ringfinger, like an arrow which just misses it's target. But what do we do with the tradional meanings of the lines? Doesn't it get too complicated? Is there anyone who reads hands in this way? For every discipline there is a teacher, but who is going to teach this? Ad 1) Well, first of all: be aware that there are multiple traditions in the field of hand reading, which together present (many) conflicting elements. Ad 2) What it takes is a re-focus of theories on themes such as personality traits & medical issues (instead of theories focussed on individual hand signs). It's sort of more a matter of discipline of thought, rather than complication. Ad 3) I already practice it whenever I can, and you can find the evidence in most of my research projects (e.g. the multi-perspective hand reading). Ad 4) Maybe that is sort of irrelevant; by the way, be aware: a revolution is hardly ever started by teachers who teach traditional concepts. 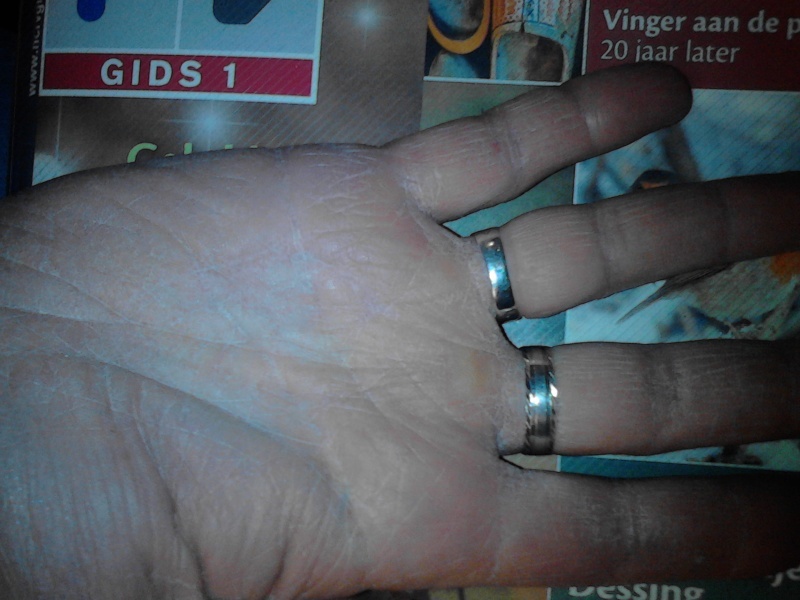 I have seen books of different authors, and as far as western palmistry goes there is definitely a rough general consensus about lines and dermatoglyphs. And besides, in astrology you see different systems based on different premisses, each of which is whole in itself. However, it is suspect that no professional palmists mix into this discussion. Apparently they have no strong case. 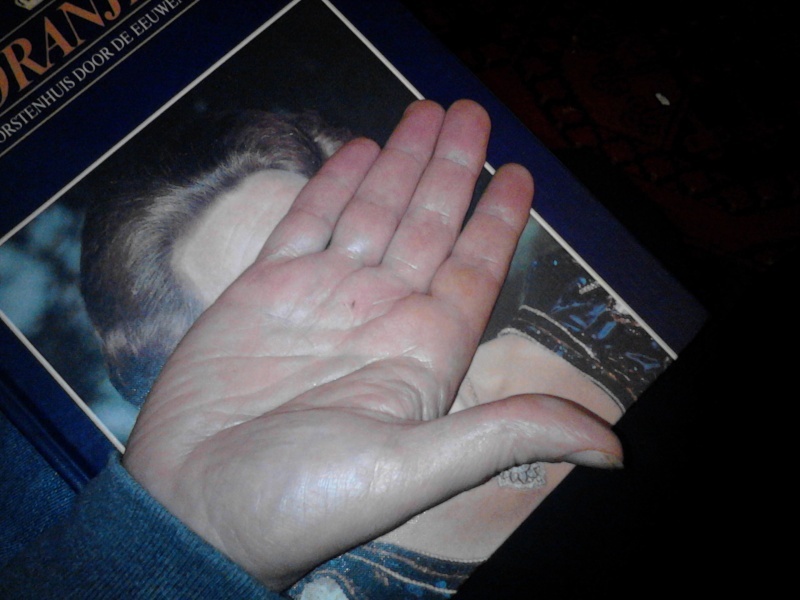 I hope chapter 10 of -the spellbinding power of palmistry- will be useful for this approach. 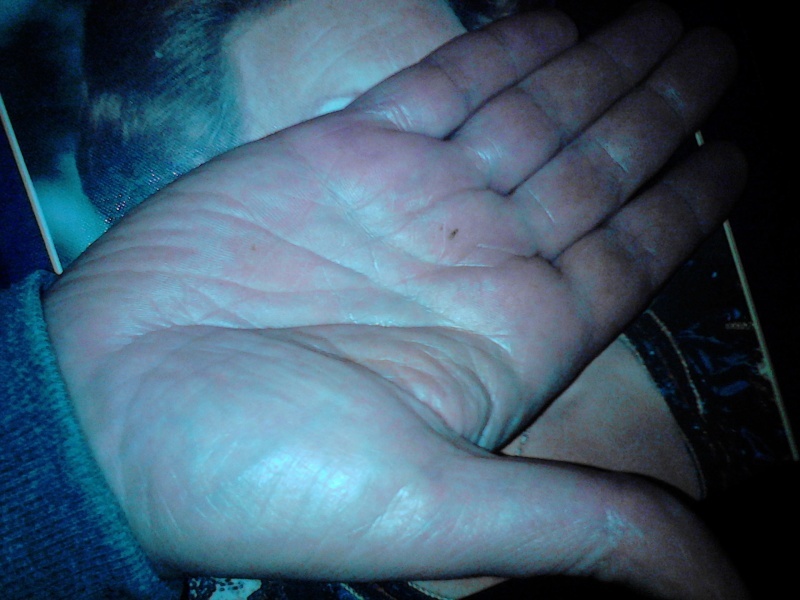 I am sure you have a profound knowledge of tradional palmistry. Is this of any help in your multiperspective approach? hello yogiman Thanks for your reply and your apology. I have no idea why you thought I was twisting the man's fate line into a passion line, when I didn't mention anything about passion line! I think I understood your description of the clear straight line from centre base of palm to ring finger, but (as it goes to ring finger rather than middle finger) I still wonder why you class it as a fate line and not as an apollo or sun line? I was a second time mistaken. I do mean an apollo line. But I still find it weird, like a man transformed into woman. yogiman wrote: I was a second time mistaken. I do mean an apollo line. But I still find it weird, like a man transformed into woman. I don't understand ...." like a man transformed into woman" ?? Any chance of getting a picture of this guy's hands? I feel some moral resistance. Next time I will see him I will take a phone picture, but don't ask for details. ...because individual hand signs (in isolation) are in general not reliable at all - at best only in a small number of cases they APPEAR to be reliable, though often this turns out to be a minority of cases. In your case the Sydney line in your right appears to affect (block) you ability to create purpose in your life, because the upper part of your fate line appears to origin from the Sydney line. Your left hand look less troublesome regarding this aspect, however the length of the fate line could indicate that this theme might take a little more time in order to manifest. Well, I at least tried to use there the combination of various line features (involving the head line & fate line) to substantiate my reading there. And I used both hands, so I wouldn't call my approach 'traditional' there - especially since I am talking there about a 'constellation' and in the past a psychologist from the UK (Rowan Bayne) has presented a study which has demonstrated the start of the fate may correlate with personal development issues..
Today I would probably have tried to add another dimension of the hand (maybe hand shape or fingers) as well, because only then it would become a 'multi-perspective' hand reading. At least in this instance tradional interpretation has proven to be right. I hope that there will be more instances, so that I can keep my books. Here are the photos of my dear subject. I like to add that he is not fully mentally handicapped. He can read, and is able to make sentences, though he usually doesn't do so. His head movements can be very quick, and his thinking extremely slow. He is not very able to interpret the things around him. He likes music, and to watch television, but seems more to register than to understand, with an exception to the weather forecast, which he is very interested in. He also likes delicious foods, and is an extremely slow eater. He spents the time with drawing, and looking outside the window to the clouds and weather circumstances. He follows his twin brother, who is not handicapped but autistic, during day and night. He is not aware of the evil in the world, is taken care of, is healthy, and seems to be more contented than the average human being. 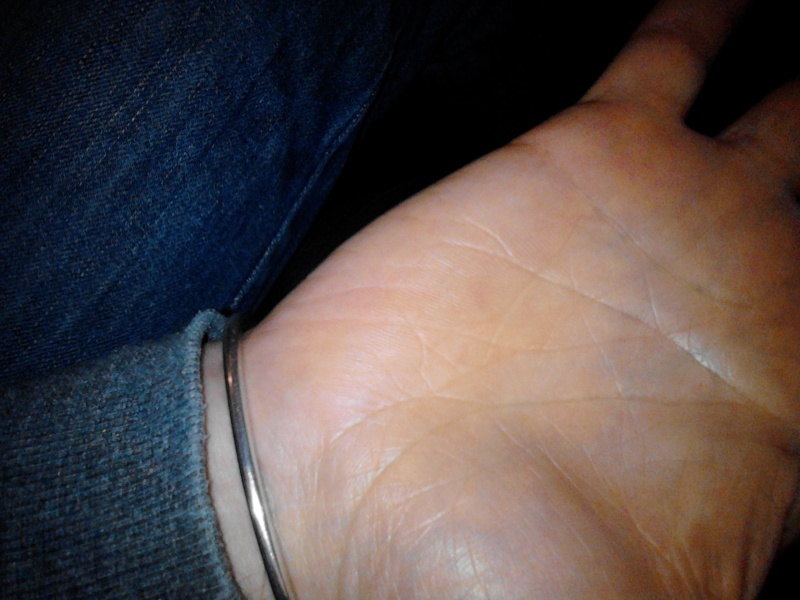 All fingers have ulnair loops, except for the left index finger, which has a radial loop. He has got a loop between index and middlefinger (loop of leadership). The flexibility of thumb and fingers is average. He holds his hands loose or weak. Yogiman, your guy appears to have a Sydney line in both of his hand (though maybe both hands can best be described as an 'incomplete Sydney line', not sure). Not sure, but he also appears to have characteristics associated with a conic hand shape. This combination is very common in people who have mental handicap. 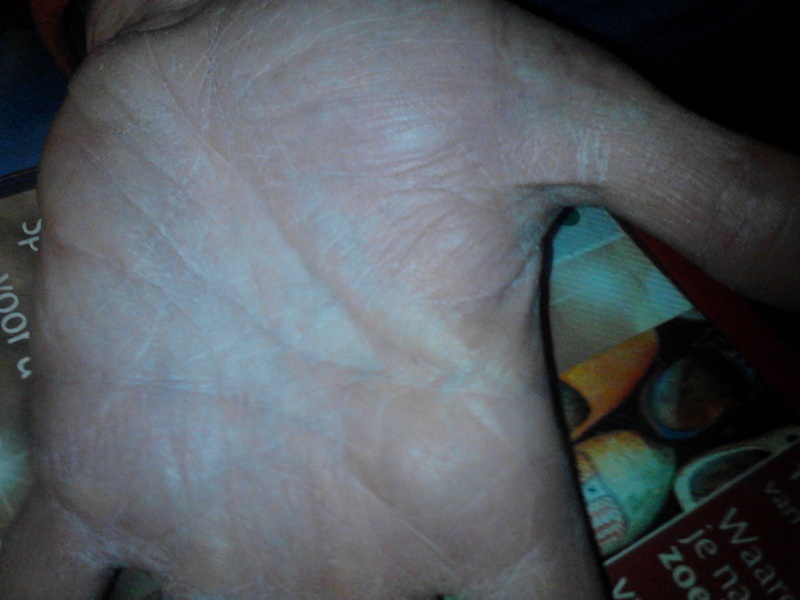 Would you tell us what type of fingerprints would be expected to be seen on this type of hand. That would depend very much on whether there is a specific cause known for his mental handicap. 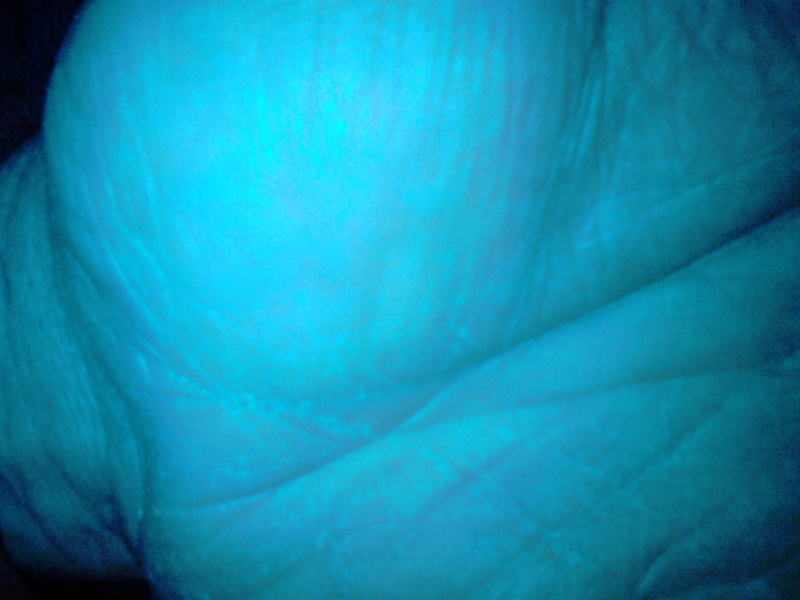 If such a diagnosis is missing then it is hardly possible to predict the set of fingerprints, because in many of those people the set of fingerprints turns out to be just ordinary. thanks for the pictures. I am viewing on a small screen so maybe not seeing clearly. You described his head line as not long & not short, but he has a long headline. I can't see the line you mentioned as being his fate line (which I queried as Apollo line) "clear straight line going from the centre of the palm at the palm base towards the beginning of the ringfinger." But I can see a fate line going towards middle finger. Yes, that's how I remembered it. This shows how perception is manipulated by expectation. You even see a split end. But the important thing is that it is competely out of line with traditional handreading. What I like to add is that I have the feeling with him that his emotional intelligence is not so bad at all, like some hidden thought process. i can tell that sometimes by his eyes.But he does have an extraordinary low IQ. 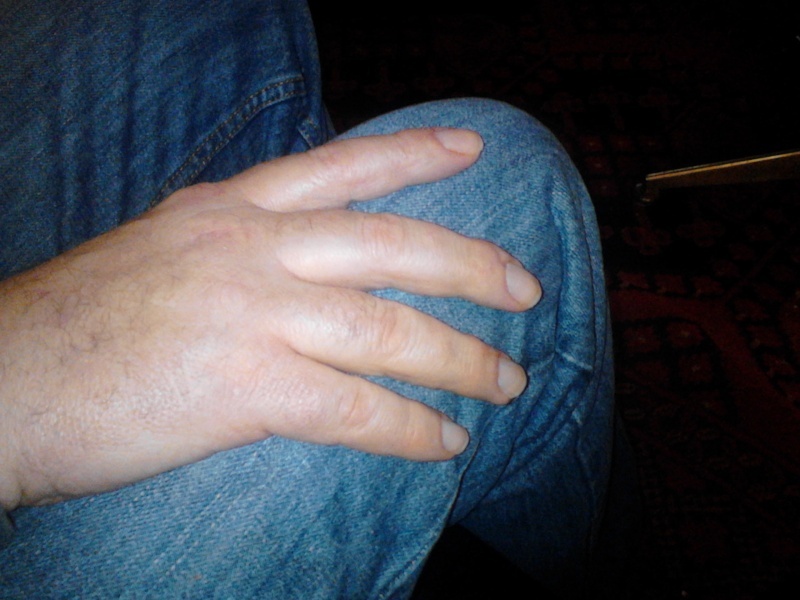 His thumbs both have a whorl, and are a little bit stiff. He is indeed going his own way, bordering to egocentricity, in contrast to his brother. I saw no loops on his hands. His little finger is long, which surprises me. *Fortunately we have the opportunity to edit any time. In relation to his long headline going into the moon area, I want to add that he often talks about his past life (year after year), while no one is taking him serious. what is a crown fingerprint? Apologizes, the dutch word is -krans- which can be translated to -crown-. So I mean -whorl-. I will correct it in the post, so that Martijn can remove this one. Lynn wrote: what is a crown fingerprint? Yogiman is referring to what we know as a whorl (a crown is round as well).